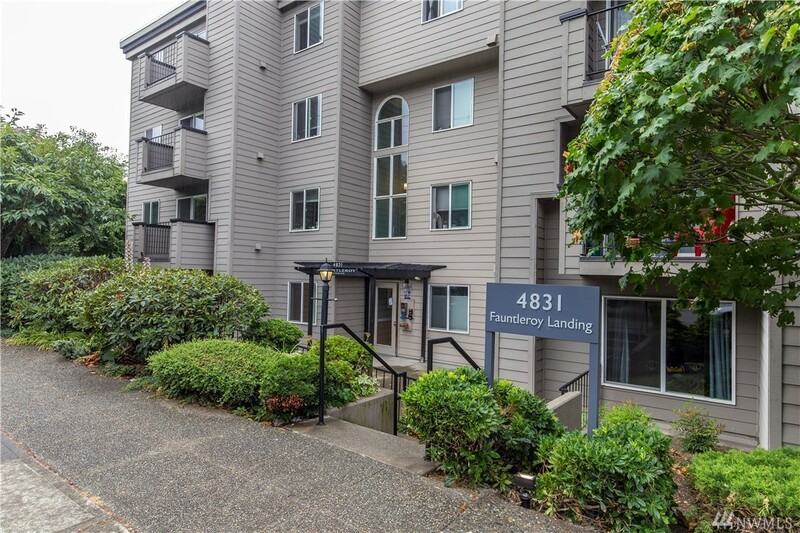 Wonderful, move-in ready 2 Bedroom Top Floor condo w/security entrance & parking in the heart of West Seattle. A 91 walk score. Open floor plan, hardwood floors, end unit - just 1 adjoining wall, fresh interior paint, fireplace, granite countertops in kitchen & bathroom, W/D in unit & spacious balcony. 1 block from Rapid Ride for quick & easy access to downtown, 3 blocks to Alaska Junction, shops and restaurants. Spacious roof top deck and well-maintained building. No rental cap. Welcome Home!